Model T Ford Forum: Has anyone here read this? Model T Ford Forum: Forum 2018: Has anyone here read this? Ran across this on T-Bay and wondered if this was a worthwhile read. I have that book. - Excellent read. -Highly recommended. It is also well researched and the author includes the references so if you wanted to find additional information on a subject you know where to start looking. One of the best books on the Model T Ford and one I would recommend any T person who likes to read and likes history should pickup. It is also available in some libraries if you would like to review it before you purchase it. If you are only going to have one book about the Model T and you own a T -- I would recommend obtaining a how to maintain the Ford over a book about how it came to be. But in many cases life is not "an either or" but rather an "and both." Nice looking runabout in your profile photo! That was one of the first Model T books I got, very entertaining. I hope it is more accurate than some other stuff he has written! I have a copy given to me by a friend and found a few things that were not quite right. Overall ok with interesting facts and illustrations. I think this was written more for the casual reader that was interested in the history and lore of Ford and his company. For the price on Ebay I would say, buy. I have not read this book. I do have 20 or so early and late books on and about the Model T Ford and the Ford Co. Errors occur for several reasons. 1. Authors use the works of other authors as a source. 2. Accurate information is not available. 3. Common errors are assumed to be "correct"
6. The author is not well informed about Henry, The Ford Co and the T.
7. The wrong photo is used or mislabled. I agree with Mark G., it appears to me the book was written for the casual reader, not serious hobbyists (and certainly not for our hero "Original" Smith!). Hey John. I have a '20 runabout. Yours looks good. The book is a good read. I have a copy. 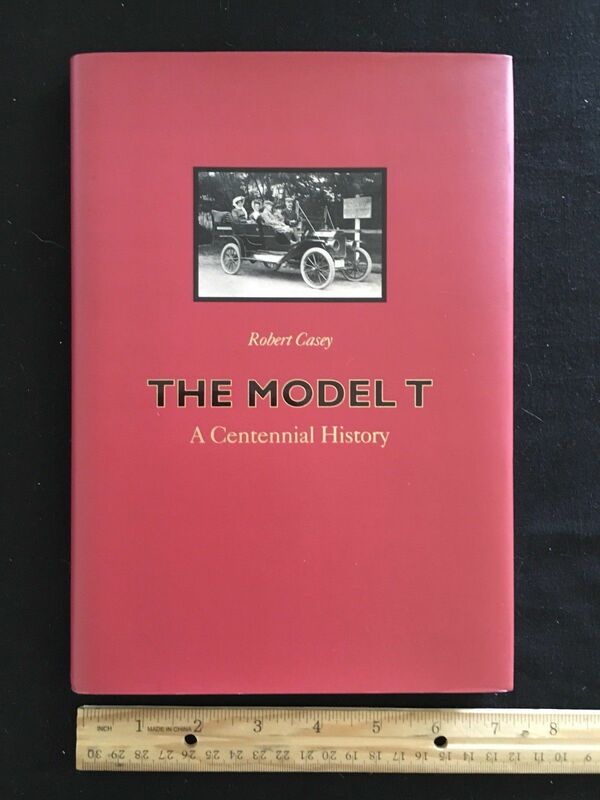 It is another source of information about the Model T for anyone interested in the T. I would get it and enjoy reading it. I bought mine through Amazon. Check them out too for a new copy.